When a world conference on human rights was announced for 1993, I was elated. I had been using a human rights approach in my feminist activism in Latin America for almost a decade and thought that this conference would give activists another opportunity to work beyond national borders to promote women´s rights. As can be imagined, not all women´s organizations were on board as they worried that declaring women´s rights as human rights would undermine the specificity of women´s needs and interests and mainstream – or more accurately, “malestream” – human rights NGOs did not want to dilute (read pollute) the content of human rights with women´s issues. But for those of us who had already been using a human rights framework in our feminist struggles, it became clear that connecting our work to the coming conference was important. One strategy was to create an activity that would allow for hundreds to participate: a petition drive. Translated into twenty-five languages and circulated in over 120 countries, the petition called upon governments at the Vienna World Conference to address women’s human rights in all conference proceedings. By the time the petition drive was completed, more than half a million signatures were gathered and this was accomplished in a time before email or any other electronic communication existed. Before and during the conference, those of us who worked in the organization of the regional tribunals as well as on the Vienna Tribunal on Violations of Women´s Human Rights used these tribunals to illustrate that the treatment or understanding by the malestream human rights doctrine of abuses against women were gender-biased and excluded a large spectrum of women’s rights violations. This strategy allowed us to challenge the public-private distinction that had been a defining feature of human rights theory and practice up to that time and gave us further arguments to convince malestream activists that violence against women, as well as other abuses, were in fact a human rights violation even when perpetuated by non-state actors in the private sphere. As the planning for the regional meetings began, we were told that smaller meetings convened by NGOs would be officially designated as “satellite meetings” for the World conference. This was exciting news indeed! At a meeting held at the CWGL, we discussed the benefits of organizing a satellite conference on women´s rights as human rights before or during the official regional preparatory committee (prepcom) meetings. In the Latin America and Caribbean (LAC) region, which would be the site of the second regional prepcom, we immediately set out to organize a satellite conference. Entitled “La Nuestra,” the first women’s satellite conference was held in December 1992 with fifty women’s groups participating from most countries in the LAC region. “La Nuestra” agreed to a nineteen-point program for presentation at the January 1993 official LAC Regional meeting. The results of “La Nuestra” were shared at the NGO Forum preceding the government convocation in January and then shared again with women’s NGOs from other regional groups. This 19-point document set the tone and content for the global advocacy efforts leading to the World Conference. The concluding document of the “La Nuestra” calls on the regional conference to recognize women’s rights as human rights; declares violence against women to be a violation of human rights; calls for the appointment of a special rapporteur on violence against women; calls for a communications procedure for CEDAW as well as other mechanisms to receive complaints and calls on States and others to take action on violations of women’s human rights. It also urges new measures on the rights and needs of women with disabilities, indigenous women, women of color, and all others who are discriminated against on ethnic, cultural or any other ground. Finally, it called for the conference to adopt specific resolutions on human rights and to call for new instruments on trafficking and sexual exploitation. After many smaller and several satellite conferences, the World Conference adopted the Vienna Declaration on the 25th of June twenty-five years ago. Although the achievements for women are many, the one I love to highlight is the fact that this World Conference declared that “Women’s rights are human rights.” This meant a paradigm shift: not only did it expand the concept of the universality of human rights, but it transformed the legal concept of “human being” which in turn had an immense impact on legal doctrine and legislation. More importantly, it changed how women understood ourselves. I have always contended that if before that date the rights of women were not human rights, we cannot help but infer that women were not “human” in international human rights law. For me, the most important achievement in Vienna was our inclusion in the human community. Therefore, on the 25th of June, I will be celebrating 25 years since I became human! A feminist lawyer, scholar, and writer, Alda Facio contributes her expertise to JASS Mesoamerica as well as JASS’ thematic agenda on Power & Protection of Women Activists. 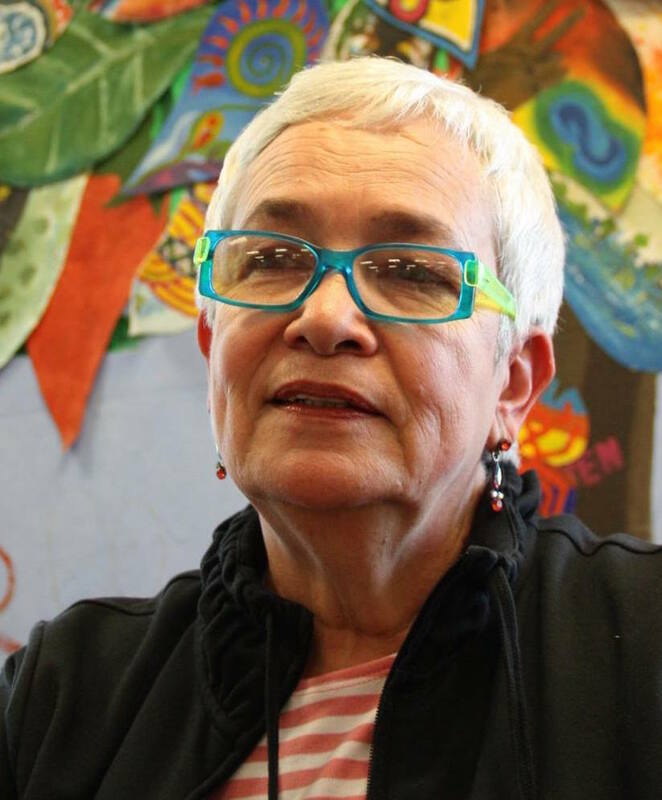 She has a long and distinguished history in women’s human rights advocacy in Latin America and globally since the 1970s and is an international expert on gender and women’s human rights. Alda founded the Women’s Caucus for Gender Justice of the International Criminal Court (ICC), becoming its first director. She is a member of the advisory committee of the global campaign “Our Rights Are Not Optional!” for the ratification and use of the optional protocol to the UN Convention on the Elimination of All Forms of Discrimination Against Women (CEDAW) and an advisor to the IWRAW Asia Pacific and other women’s organizations. Since 1991 she directs the Women, Justice and Gender Program of the United Nations Latin American Institute for Crime Prevention. She was also on the Advisory Committee for the UN Secretary General’s In-Depth Study of All Forms Of Violence. Alda has helped design laws against violence against women in a number of countries and was one of the first to denounce the anthrocentrism in the theory and practice of human rights and law. In recognition of her stature in the field, she was the only Latin American candidate for the UN Special Rapporteur on Violence against Women in 1994. She currently serves as the chair of the UN Working Group on Discrimination against Women in Law and in Practice. She has taught and given conferences and workshops on human rights issues in many universities in the Americas and for groups of women. She was a judge on the Civil and Labor Court and founder and director of the National Dance Company of Costa Rica. Alda has written hundreds of articles on human rights and the position of women for numerous publications, including law journals, textbooks and was correspondent for FEMPRESS for 16 years. Three of her short stories are included in Latin American anthologies.